Shirley E. Hecimovich, 86, formerly of Bovey passed away peacefully on Tuesday May 1, 2018 at Cornerstone Villa in Buhl. She was born in Grand Rapids, MN to Eino and Ida (Rantala) Hamar on March 30, 1932. She was raised in rural Trout Lake on a dairy farm with her brother and two sisters. Shirley graduated from Grand Rapids High School in 1950 and was employed at the Bovey Bakery and then as a bookkeeper at King Lumber Company in Bovey. She married Paul “Barney” Hecimovich on June 21, 1953 and they resided in Bovey all of their married years. Shirley and Barney raised two children, Jodi and Kerry. She was part of the Home Extension group in Bovey for many years and active with fundraising for the American Heart Association. Shirley enjoyed flower and vegetable gardening and sewing. Her life revolved around family and especially her grandchildren. 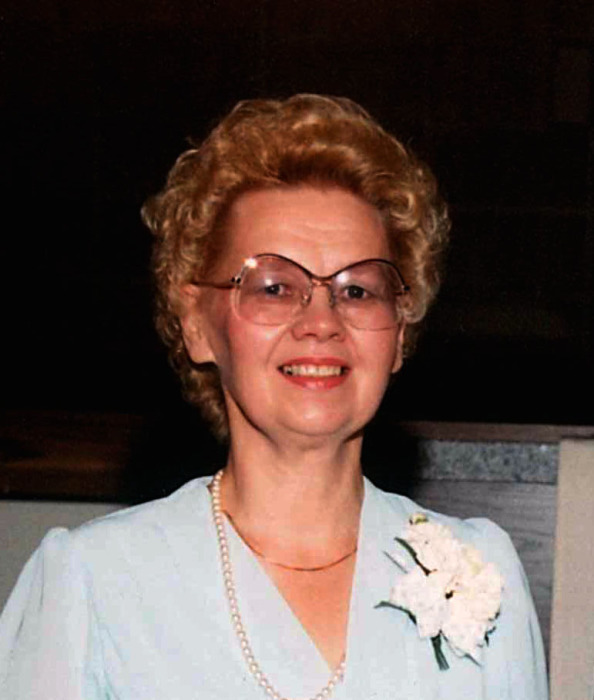 She was a long-time active member of Bethel-Trinity Lutheran Church in Bovey. Shirley is survived by her son Kerry (Becky) Hecimovich, Mt. Iron, son-in-law, Robert Buescher, Cohasset, MN, two sisters, Evelyn (Larry) Anderson, Ely, MN and Carolyn (Sid) Petersen, Grand Rapids, MN, sister-in-law Jan Hamar, Bovey, MN, four grandchildren, Nik (Brenda) Buescher, Lindsay Buescher, Kyle Hecimovich and Adam (Janell) Hecimovich. She was preceded in death by her husband Barney, her daughter, Jodi Buescher, and brother Len Hamar. She was loved by her immediate family along with many nieces, nephews, cousins and friends. The family would like to thank the staff at Cornerstone Villa for giving Shirley a loving and caring home for the past several years and all of the family and friends who visited her during her stay there. Memorial service will be held at 11:00 a.m., Monday May 7, 2018 in Bethel-Trinity Lutheran Church, Bovey, with the Rev. Mark Wagner officiating. Visitation will be for one hour before the service. In lieu of flowers, memorials can be directed to the Breast Cancer Research Foundation, Fisher Center for Alzheimer's Research Foundation or a recipient of donor's choice. Arrangements are with Peterson Funeral Chapel, Coleraine, MN.